While many were saddened by the sudden ending of singer-host Billy Crawford's longtime relationship with Nikki Gil, a good portion of the public were left intrigued as to the true reason why the couple of five years headed to Splitsville. Since the once dubbed "ideal couple" has opted to remain mum about it, a number of speculations were spun why they parted ways, among them were the "Bright Lights" singer's purported involvement with a third party and his alleged addiction to illegal drugs. The most interesting assumption however involved Billy's sexual preference. An idea which could have sprung due to his usage of the words "confused" and "lost" to describe his current state during his emotional interview last week on "The Buzz." But, to douse any more questions regarding his sexuality, the "It's Showtime" host in a taped interview aired on "The Buzz" on August 3 has briefly addressed the issue. "Mukha ba akong bakla?" He asked with laugh. Billy left for the US on Saturday, August 3 to spend with his family. 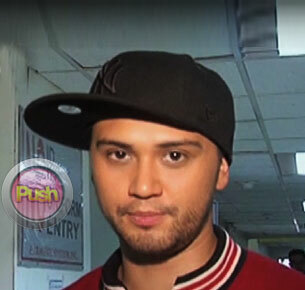 Asked if his family abroad were aware about the recent event in his life, Billy said, "I dont think 'yun ang habol nila. I think ang hinahabol nila ang makita ako." "I haven't seen them in a long time," he added. To his fans , who unwaveringly showed their support for him during this ordeal. Billy said, "Maraming, maraming salamat po sa lahat ng nagmamahal sa akin. Thank you very much for all the love and the kind words that you've been saying to me. God bless everyone and see you guys soon."